Sis. Rolina Montemayor’s sixteen-year-old daughter, Fredlyn, felt a lump in her right breast which started to be painful. Weeks passed and the lump grew bigger and three other lumps had appeared. The color of her breast became blackish violet, like it was bruised. Her breast became enlarged, darker and very painful as the weeks passed by. Her mother told her that they would see a doctor to know what it really was, but she begged off, telling her mother that this would only increase her fear and weaken her faith. Sis. Fredlyn chose to put her complete trust in the Lord Jesus Christ and to cling to the many testimonies of God’s miraculous healing that she had heard. A few months passed and the pain brought by her swelling breast spread to her neck, back and upper arm, making it extremely difficult and painful to make the slightest movement. They were certain, even without diagnosis, that Sis. Fredlyn had breast cancer. Sis. Rolina prayed hard to the Lord, asking for mercy and guidance. She dreamed of offering a long fasting and prayer in the fasting house. But Sis. Rolina wasn’t ready for a longer fasting, beyond 15 days. But as the days passed, her daughter’s condition became worse, and she, too, started to suffer from respiratory disease and swelling and reddening of her lower legs that was really painful. Sis. Rolina decided to request for prayer from the beloved Hon. 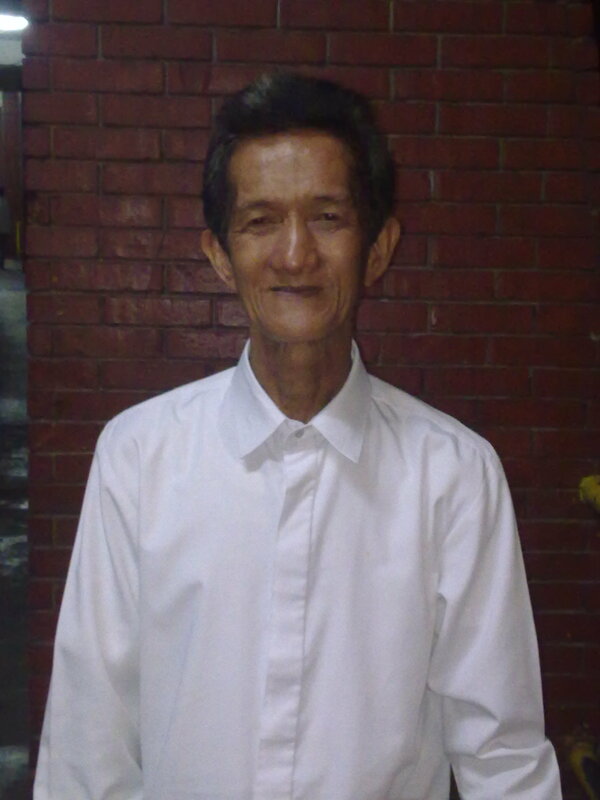 Pastor Wilde E. Almeda, for healing and strength to offer up a longer fasting and prayer. After they were prayed over and laid hands on by the beloved pastor, mother and daughter prepared for their long stay in the fasting house and then, off they went. On their first day of prayer and fasting, Sis. Fredlyn vomitted blackish, foul-smelling liquid with blood. On the 7th day, Sis. Rolina gave her daughter some food for a light break, while she herself continued to fast without taking a break. After her light break, Sis. Fredlyn continued with her prayer and fasting. 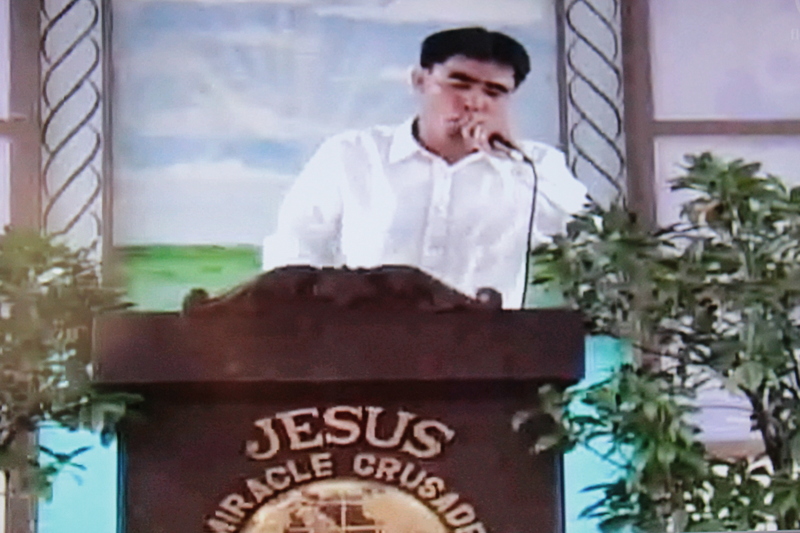 In the fasting house, as morning (6am to 3pm) and evening (6pm to 10:00pm) praise and worship and prayers roared on, Sis. 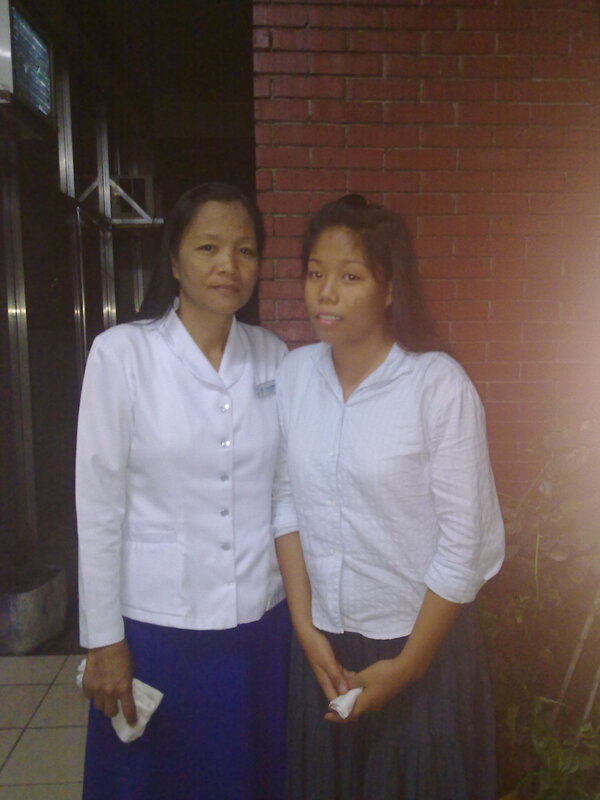 Rolina spent 3-4 hours straight on her knees, praying and begging the Lord for the complete healing of her beloved daughter. On their 23rd day, the lumps, pain, swelling and bruising were all gone from Sis. Fredlyn’s breast. She asked her mother if they could go home, but Sis. Rolina gently reminded her daughter that they vowed to the Lord to finish 40-day fasting and prayer, and she was determined to do that. Sis. Fredlyn had three or four light breaks during the whole duration. On their 3oth day, the monsoon rains began, and since they didn’t bring thick clothing or blankets to ward off the cold, this made it harder for them to finish their 40-day fasting. Being without food for a very long time, the cold brought by the heavy rains made their knees trembling. But Sis. Rolina, instead of praying that they be “excused” from completing their long fasting, prayed for more spiritual and bodily strength, that the Lord would comfort and strengthen them. After their 40-day prayer and fasting, Sis. Rolina and her daughter Fredlyn recovered well and they both testified of the complete healing they received from the Lord Jesus Christ.